I confess. I am not capable of working from home. There’s just always something else more fun that needs to be done first. Things like duct taping the windows (draft control), cleaning the oven, vacuuming, and of course, updating this blog! This weekend I had a few hefty documents that I had to review and comment on for a Monday morning meeting. Not something I can wing, even on my best BS days, so I had to hunker down and get through them. 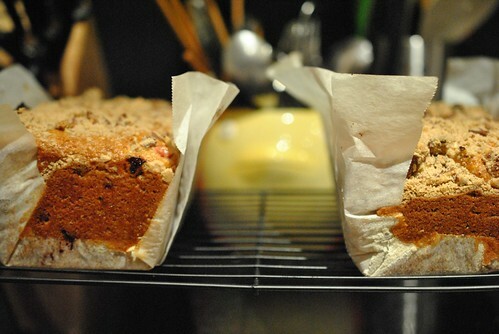 It is now Sunday night, and instead of working on that, here I am, compiling my notes on my latest baking endeavor. Sometimes priorities get shifted….such is life. 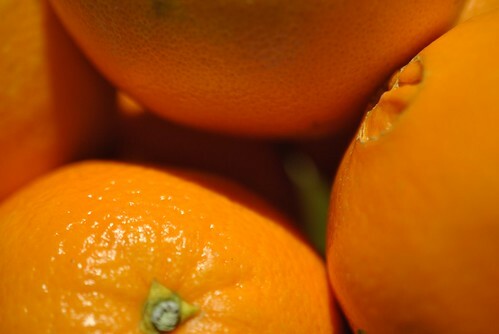 With it being winter, tis the season for oranges! Yay! I was excited. 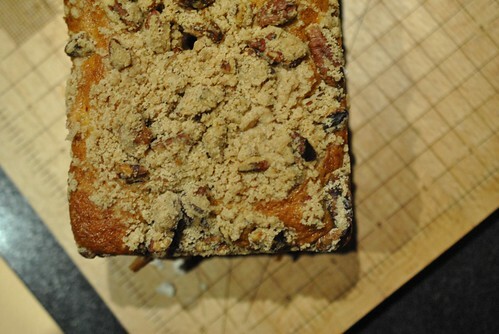 I usually just like to eat them peeled and segmented, but when one of my favorite food blogs, Joy The Baker posted a Cranberry Orange Pecan Coffee Cake, I was totally there. 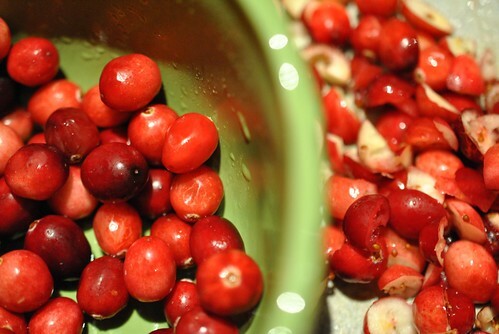 It also helps that I had exactly 2 cups of fresh cranberries living in my fridge with nowhere to go. Perfect timing! I do have to get back to my review (can’t stall forever), so I present you with just simple kitchen notes. I followed her recipe to the T with no substitutions or adjustments. If you have a juicer, use it. I’m cheap, so i don’t have one. 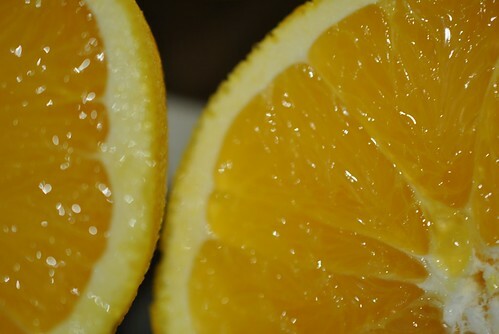 Juicing oranges by hand is messy and requires a good amount of grip strength. Of which I have thanks to a year and a half of desperately gripping hand holds while doing indoor rock climbing. 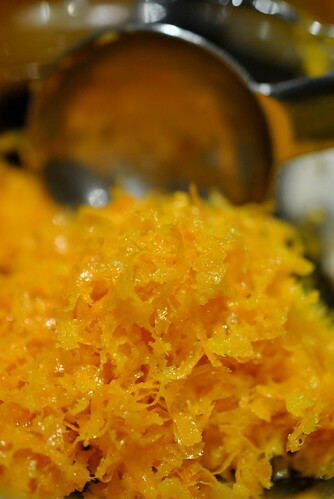 Two tablespoons of zest required me to zest the skin off of three large California Naval oranges. Which also yields the required 1 1/2 cups of juice. 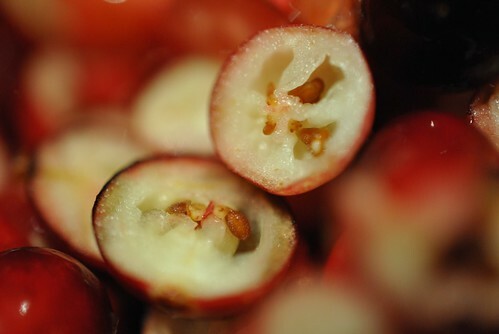 Chopping fresh cranberries is not easy. Those little suckers can really roll. Be careful and use a sharp knife. Also, do it in small batches. Once you get them cut in halves, they become much more stable and easier to run your knife through a couple more times. I toasted my pecans before using. 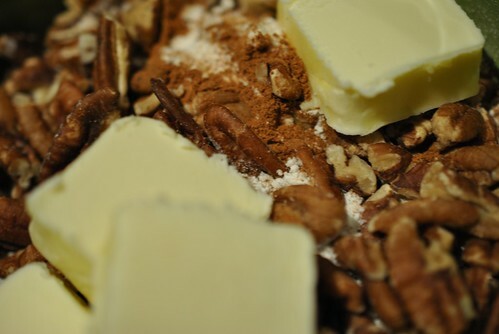 Also, even if you bought pre-chopped pecans, give it another go through with a knife. Make sure your butter is really at room temp. It’ll make the incorporation by hand much easier. Especially if your hands were already tired from the juicing, like mine were. I had to save some strength since the crumb topping requires incorporation by hand with cold butter. Oh that was fun. 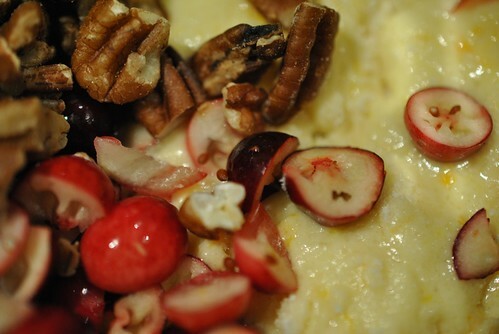 When folding the wet with the dry, just fold a few times, then add in the cranberries and pecans. Don’t wait until the dry and wet are incorporated before adding, otherwise you might overwork it. Also, you know it’s done when you stop seeing pockets of flour appearing after each fold. Mine took 60 minutes to be done. Start checking at 50 minutes. Definitely let it rest the entire 15 minutes before using the parchment paper sling to transfer it to a wire rack. Man oh man did this smell good. From batter stage to baking to cooking, my apartment smelled like oranges. After anxiously waiting for it to cool (while I was reading at the kitchen counter), I finally dug in to do a little quality control testing. The cake was so moist. 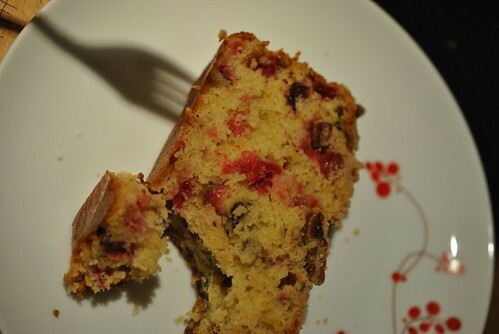 The cranberries had a nice tartness to it in which the cake tempered a bit. 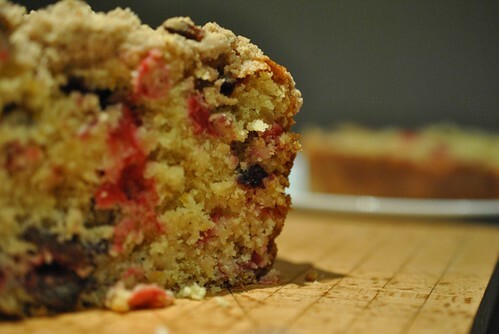 The crumb was okay. 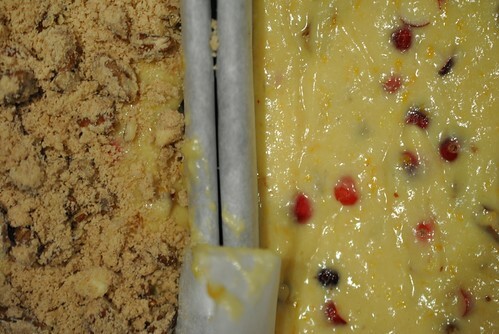 There was no sugar in it, and a lot of flour, so it was a touch bland and just added texture and crunchiness. The orange was present, but not overwhelming at all. It smelled delicious and most definitely was delicious to eat. 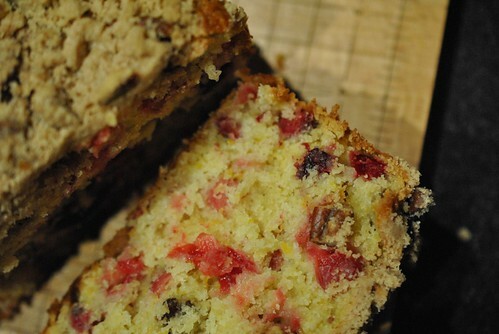 This entry was posted in Bread, Breakfast, Cake, Uncategorized and tagged Coffee Cake, Cranberry, orange, Pecan. Bookmark the permalink.